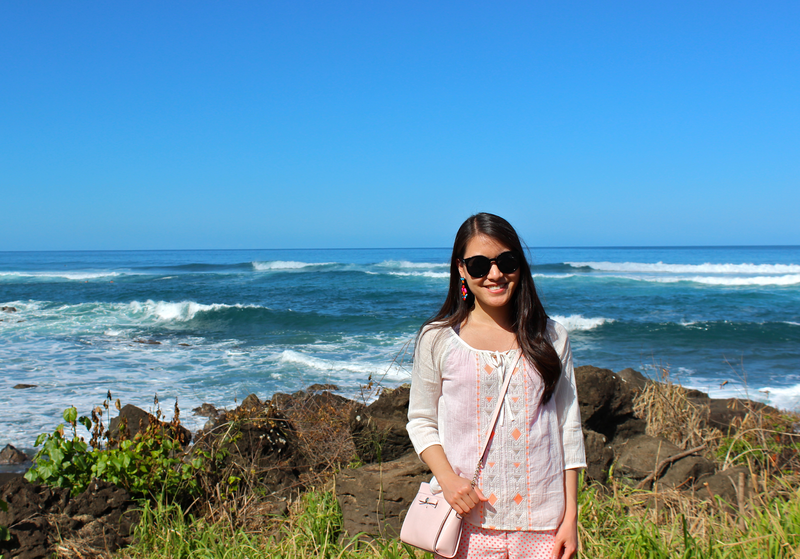 Grace in Style: STYLE STORY: HAWAII COLORS + $50 AMAZON GIVEAWAY!! 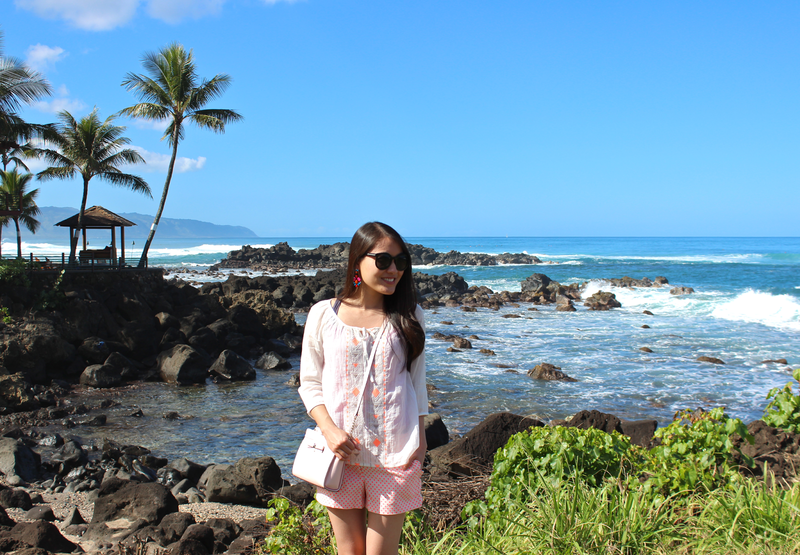 STYLE STORY: HAWAII COLORS + $50 AMAZON GIVEAWAY!! Aloha! Flipping through photos from my trip, I've been getting an overwhelming feeling of happiness. As a visual person, colors create the mood of the moment, and all I see in my photos are bright colors potent enough that they could probably cure sadness. Perhaps a stimulation with bright colors is what I will be prescribing my patients when they mention feeling down. Too bad I didn't invent light therapy, but perhaps color therapy? Anyway, the point I'm trying to get to is one that I constantly mention here since it's so true to my style (Exhibit 1//2//3): Need to cheer yourself up? Try wearing colors! Any of your favorite bright colors! This can change your day for the better :) In Hawaii, my surroundings were already naturally dressed in vibrant blues & greens, but I still wanted to put on that cheery feeling. So I contrasted natures hues with touches of bright oranges and pinks in simple mixed prints. OH! And I'm hosting another giveaway today!! Some blogger friends and I are giving away a $50 AMAZON GIFT CARD!! You can scroll down to the bottom of this post for more details and to enter! Rules: Use the Rafflecopter form to enter daily (bookmark this page). Giveaway ends 1/30and is open worldwide. Winner will be notified via email. 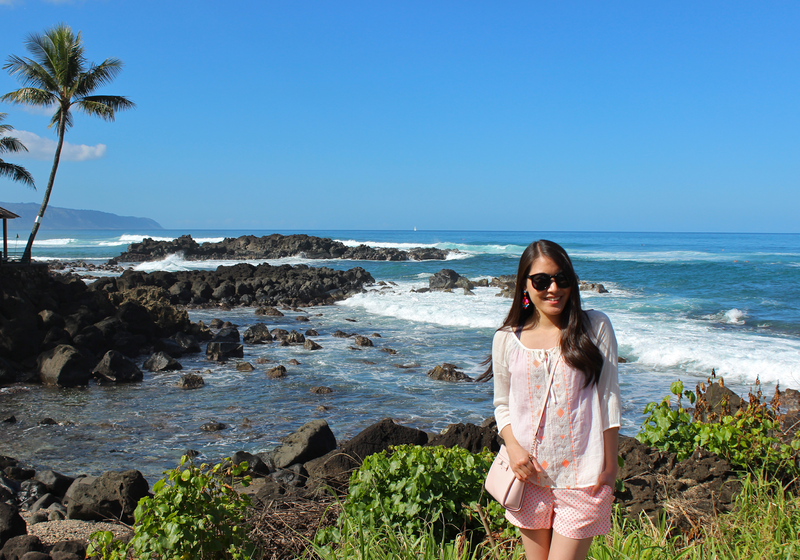 Lovely beach and outfit! It's good you're having a great time. Thanks for the giveaway. Thanks so much!! :) Good luck! Of course! Stay warm & good luck with the giveaway! So I love your "hawaii colors"- blues/turquoises and now corals/peaches! Perfect for nice looking skin! Amd perfect colors for any type of dress style/fashion ensemble! It is 50 today in Iowa, so thinking about the beach right now. Not blaming you for wishing for some beachy weather! Sending warm thoughts! Wow, those views are stunning. You look fab! Wow, cute shorts you got there!! This is my kind of vacation style, too. Easy and relaxed :) PS - It's hard to focus on your outfit with that gorgeous view on the background. Miss the beach!! Thanks so much, Abby!! I'm missing it too...my vacation was short but sweet! I love your blouse and those shorts! 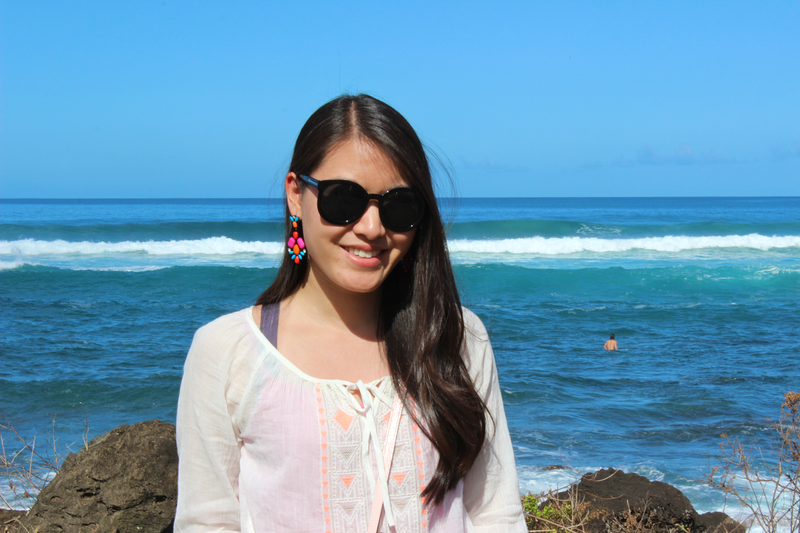 I'm going to Hawaii in November and I can't wait! Thanks for linking up! This scenery looks like a postcard - so amazing!